Liverpool maintained their 4 point caution at the top of the Premier League, this past weekend thanks to a hard fought 4-3 come-back victory at home to Crystal Palace. The magnificent three of Muhammed Salah (*2), Sadio Mane and Roberto Frirmino were all on target for Jurggen Klopp’s side while Andros Townsend, Max Meyer and James Tomkins scored for Palace. For second placed Man City, they were 3-0 winners over Huddersfield Town on Sunday. Danilo, Raheem Sterling and Leroy Sane scored the goals for City who remain 4 points behind Liverpool. Arsenal defeated Chelsea 2-0 at the Emirates in the weekend’s stand-out fixture. Alexander Lacazatte put the hosts on their way before Captain Laurent Koscielny sealed the points as early as the first half, on a day that Chelsea never got going. In the game involving Man United and Brighton, the Red Devils scrapped to a 2-1 home victory. A Paul Pogba penalty and Marcus Rashford’s curler put United 2-0 up before Pascal Gross ensured a nervy ending with Brighton’s only goal of the afternoon. On Sunday, Tottenham came came from a goal down to defeat Fulham 2-1 at Craven Cottage. A Fernando Llorente own-goal put Fulham ahead on 17 minutes but Dele Ali and Harry Winks struck in the second half to ensure Spurs take home all three points. Elsewhere, there were also victories for Wolves, Bournemouth, Southampton and Newcastle United. Wolves scrapped to a 4-3 thrilling victory over Leicester City, Bournemouth were 2-0 winners over West Ham, Southampton overcame Everton 2-1 while Newcastle beat Cardiff City 3-0. Here are the eleven players that stood out for me this past weekend in a 3:4:3 formation. GK: Hugo Lloris (Tottenham Hotspurs). Lloris made four saves in Spurs’ 2-1 win away to Fulham on Sunday. None of the Fulham players could get past the Frenchman and the only effort he failed to deal with was his team-mate-Fernando Llorente own goal. CB: Fabien Shar (Newcastle United). Fabian Schar became the first defender to score twice in a Premier League match for Newcastle since Philippe Albert against Manchester City in February 1996. He did so as the Magpies defeated Cardiff 3-0 on Saturday. A clean sheet has been rare for Arsenal this season but against Chelsea on Saturday, they got one. 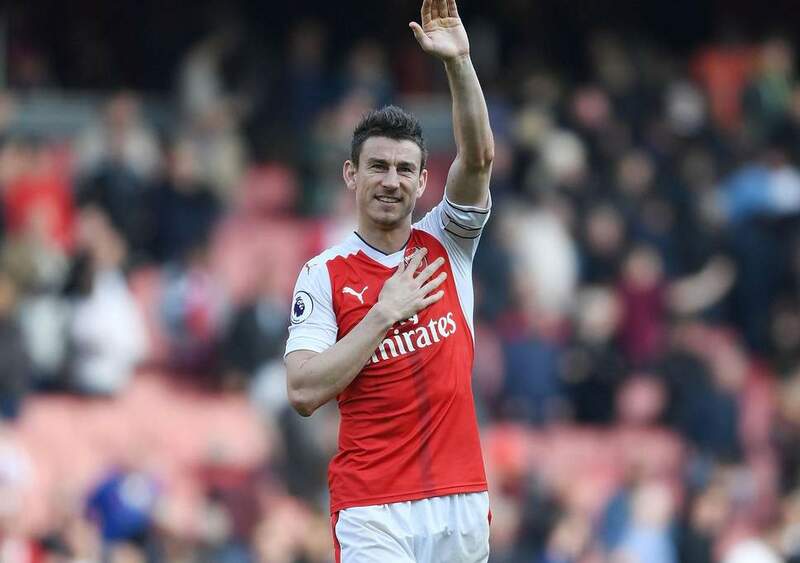 Key to it was Captain Koscielny who also scored the second goal as the Gunners ran out 2-0 winners to re-ignite their push for a top four finish. Danilo scored City’s 100th goal of the season, the first in their 3-0 win away to Huddersfield on Sunday. He was also involved in the third to cap an impressive outing for the Brazilian. Ward-Prowse scored his side’s first goal against Everton and was their most creative player, making four chances in the 2-1 win. MF: Harry Winks (Tottenham Hotspurs). For the second week running, i am picking the youthful Spurs midfielder in my team of the week. This time round, he gets into the team following his side’s victory. Winks scored the winner against Fulham on Sunday. It was his first League goal since 2016. MF: Marcus Rashford (Man United). Marcus Rashford – making his 150th appearance for United in all competitions – has now scored in his past four Premier League games. The fourth was the 2-1 win over Brighton on Saturday. MF: Leroy Sane (Man City). After an average start to the season, Sane looks to be getting his groove back at the heart of City’s title charge. Against Huddersfield, the German scored one and assisted Sterling’s second as they ran out 3-0 winners on the day. The Liverpool superstar scored with both of his shots against Crystal Palace, helping his side to a 4-3 win at Anfield. Diogo Jota is the first Wolves player to score a top-flight hat-trick since John Richards in October 1977, also against Leicester. He also became the second Portuguese player to score a Premier League hat-trick after Cristiano Ronaldo. Wolves won 4-3 in a 7 goal thriller at home to Leicester City. FW: Callum Wilson (AFC Bournemouth). The striker became the second player to hit double figures for goals in a single Premier League season for Bournemouth when he opened the scoring against West Ham, following Josh King’s haul of 16 in 2016-17.